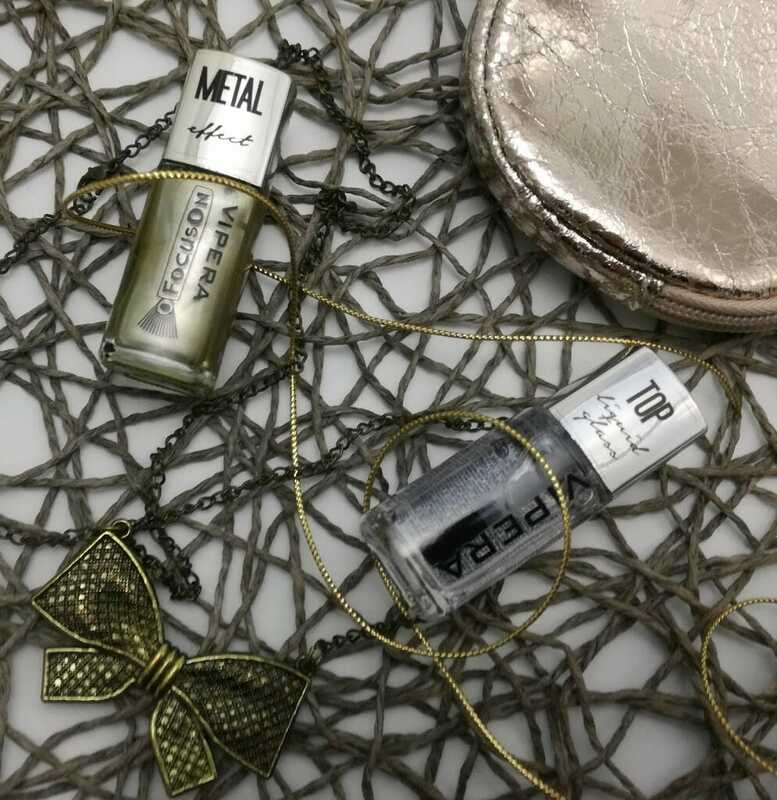 Bottle is just perfect for storing, since it has a rectangular shape and you can put them all together. There is 12 ml of nail polish in there. The brush is a bit longer and wider, easy to use. Nail polish is crazy-li pigmented, one coat is enough for it to be fully opaque. 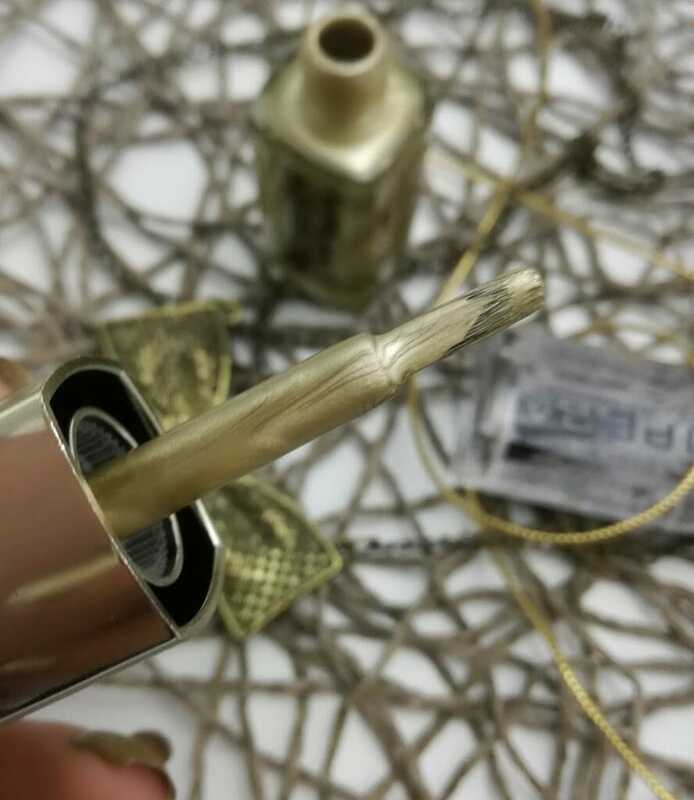 But you do need to be carefull with application, it is a bit runny and you can easily get too much of polish on the brush. If you are not carefull you can also get brush strokes but with the right top coat this does go away almost entirely. 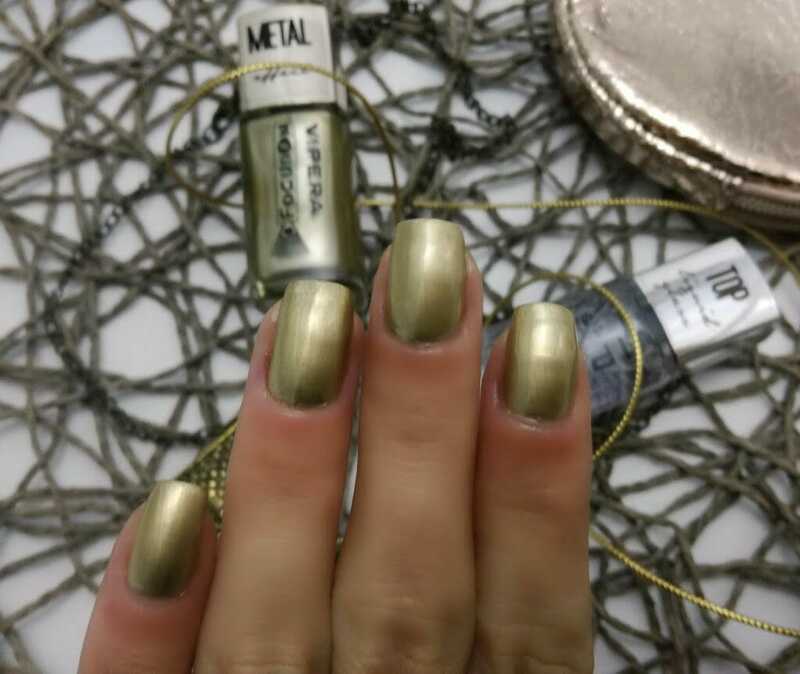 This is supposed to be a gold nail polish. But it is not your tipical, warm gold, it is more metallic, champaigne gold. It does not shine very much and I suggest using the top coat. 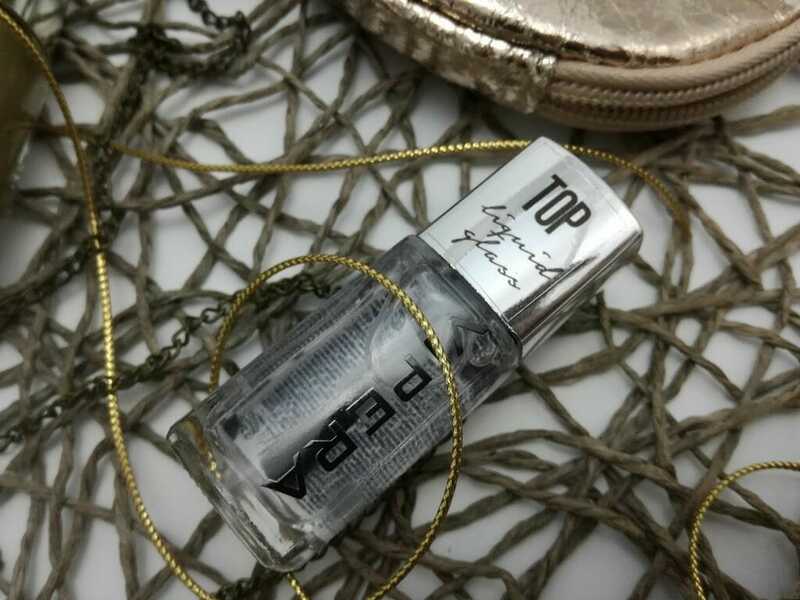 Vipera has a top coat especially for this occasion, Liquid glass top coat. 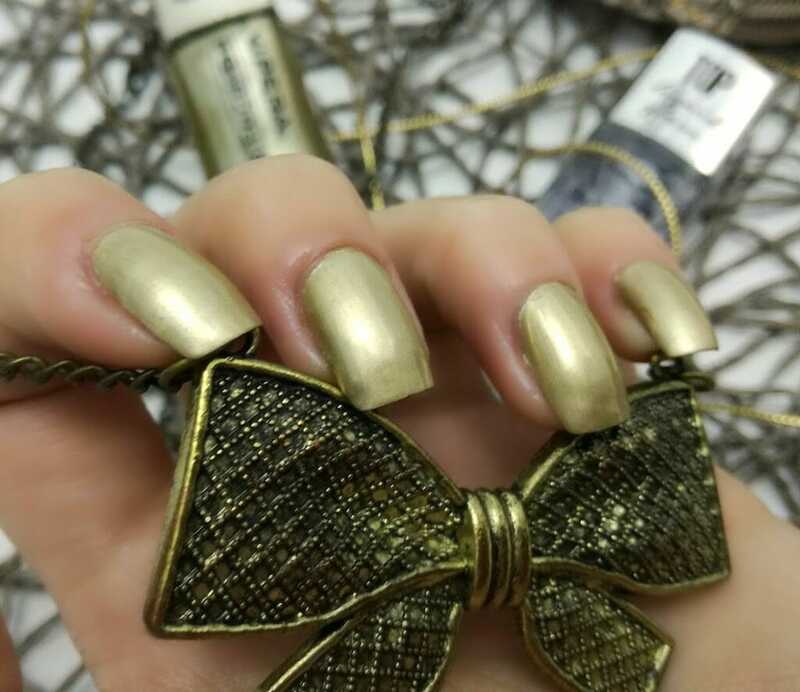 This doesn’t mean the gold nail polish is totally without shine, it does shine without top coat also and it does look good. I have top coat on the pictures, since I find it prettier this way, more shiny and the brush strokes are less visible. 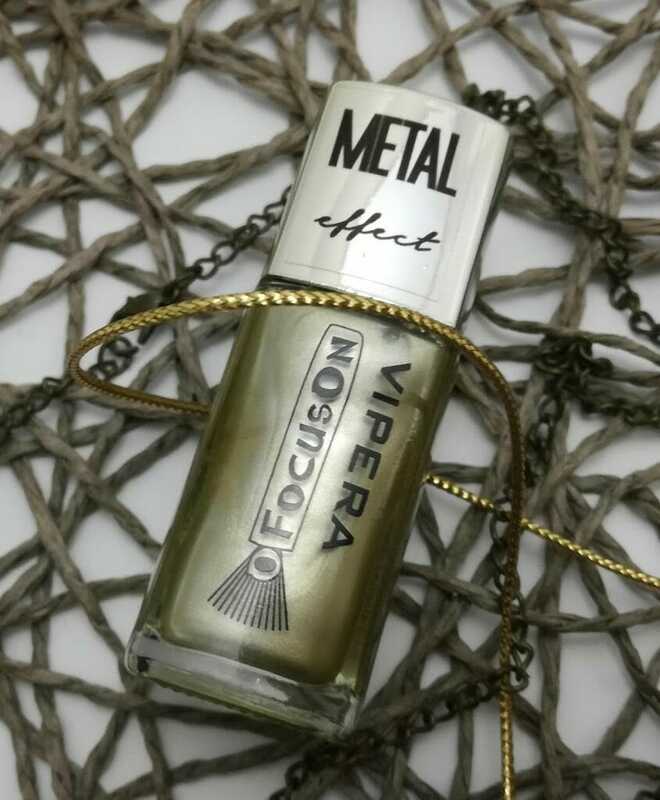 If you are looking for a metallic nail polish, with mirror-like look, with as few brush strokes as possible and with perfect opacity, I do suggest you look at Vipera. I am looking forward trying it as a stamping polish, I think it will work great!